This Thursday, 1 October at Yours Truly in Cape Town, Zigzag is partnering with Volcom to present the premiere of Psychic Migrations in South Africa. Psychic Migrations – the latest audio visual offering from Volcom. It’s sick, trust us! 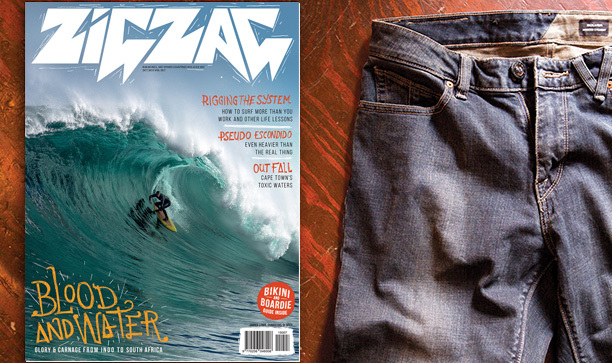 While entrance to watch ‘Psychic Migrations’ is free, if you’ve got R350 in your pocket (or available on debit card) then you will be able to purchase a pair of styling Volcom jeans (valued at R850) to which we’ll add a one year subscription to Zigzag (worth R280). That’s almost R1100 in value for 350 bucks. Score! So get down to Yours Truly in Kloof Street on Thursday at 7:00pm for the premiere.